Last year, Mayor Burns was our emcee. He was the life of the party. He will be there again at this years event. All proceeds go to Geneva High School Scholarships and our 8 core charities in the Fox Valley. 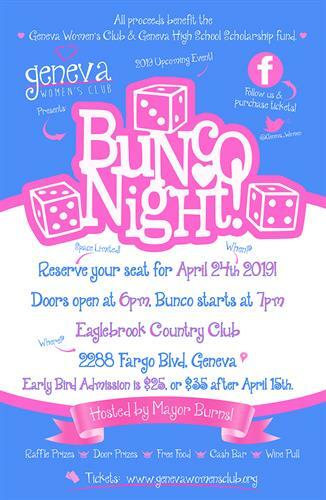 Door Open at 6PM and BUNCO starts at 7PM.